What is the Fresh Foodie Trail®? 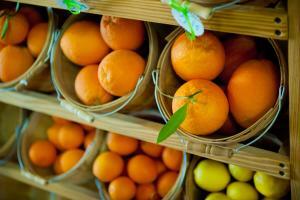 The Fresh Foodie Trail® is the culinary gateway to Greater Phoenix. It winds throughout Mesa and the surrounding towns, presenting local farms, agritourism attractions, and restaurants to visitors year-round. This popular road trip is full of food-driven experiences that will expand your culinary education and is sure to delight! The much-anticipated harvest is celebrated at our family farms is proudly shared with visitors stopping in during this time of year. 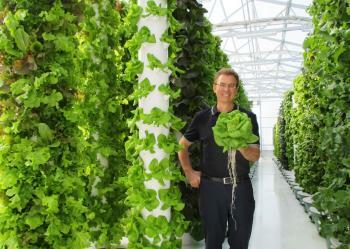 This Fresh Foodie Trail® stop is the premiere aeroponic food farm in the Southwest. With 5,000 square feet of vertical urban farm, True Garden aims to share knowledge on how to produce healthy, nutritious food with no soil. Tours are offered at this one-of-a-kind, solar-powered facility. True Garden is truly a unique stop that you don’t want to miss on your culinary expedition! The Agritopia community is something of a modern-day village centered around urban agriculture. The planned community surrounding 11 acres of certified organic urban farmland believes that a simple life with friends and family is a rich life. 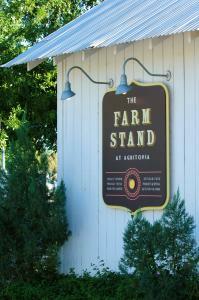 Agritopia has plenty to offer the community and visitors, including Joe’s Farm Grill, a 60’s-era modern-day diner, The Coffee Shop, and Barnone, a community for craftsmen to make and sell their goods. Creativity is unleashed at Barnone, which showcases an array of artisans and adds several businesses to Agritopia, such as Uprooted Kitchen, Fire & Brimstone, Garage East and more. Here you can watch skilled craftsmen and women at work and buy their products to take home, from printers to florists and even winemakers! 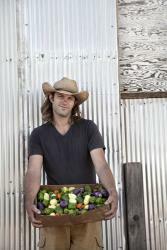 You can also purchase same-day harvested crops at the Farm Stand at Agritopia. This stop on the Fresh Foodie Trail® is one-of-a-kind and well worth a visit. 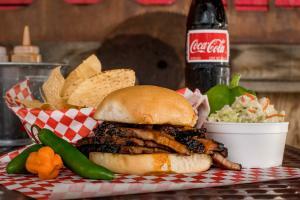 Enjoy new wave Mexican soul food and Arizona-style BBQ at Jalapeño Bucks. Open Tuesday – Saturday, their menu offers a variety of delicacies from south of the border, as well as several varieties of salsa. Located in North Mesa, this Fresh Foodie Trail® stop offers visitors “buckin’ good BBQ and burritos”, so don’t miss out! Get a taste of life on the farm at Superstition Farm. 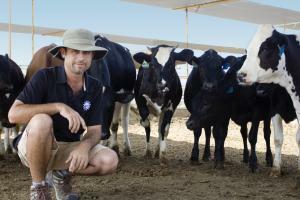 Their tours are aimed at giving visitors a sense of working life at this “agrotourist” family farm. You can learn about the operation of the farm, as well as environmental work done here, and their dedication to the care of the animals at Superstition Farm. On site, there is a petting zoo, milk & ice cream bar, boutique and more! Superstition Farm also offers a Farm Camp in the summer, as well as party and wedding venues. We can’t forget about the SuperFarm Market! Thursdays in the fall from 4:30 – 7:30 p.m., farm-grown products are available for purchase at this farmers market. You can also enjoy the petting zoo, hayrides and a gourmet food truck during this time. Starting next week, WestJet Airlines resumes non-stop service to Phoenix-Mesa Gateway Airport from Calgary and Edmonton, Alberta. And, Allegiant Airlines is kicking off eight new service routes with non-stop flights to this sun-kissed city including new service from major Midwest destinations Indianapolis, Milwaukee, Kansas City, Louisville, Omaha and St. Louis/Belleville. In 2016, Gateway Airport welcomed more than 1.3 million passengers to Mesa, Arizona. For more information about Phoenix-Mesa Gateway Airport, visit www.gatewayairport.com.